Note: BALL COLORS MAY VARY AND ARE CHOSEN AT RANDOM. Featuring the Retractable Handle Bowling Ball, this is great for bowlers just starting out or bowlers who don't want to mess with drilling holes. Grip the bowling ball by the retractable handle and once you release the handle will snap into the ball, rolling evenly down the lanes. This ball is durable and made with the bowler in mind. BALL COLORS MAY VARY AND ARE CHOSEN AT RANDOM. i forgot to specify that i am a left-handed bowler when i ordered the handle ball, does it matter? This ball does not have any features to make it right or left handed specifically so it works for either hand. i am wondering if i can buy a spare handle for my ball? this is the 3rd ball i have had to buy because the handle breaks. Unfortunately, we do not sell spare handles. 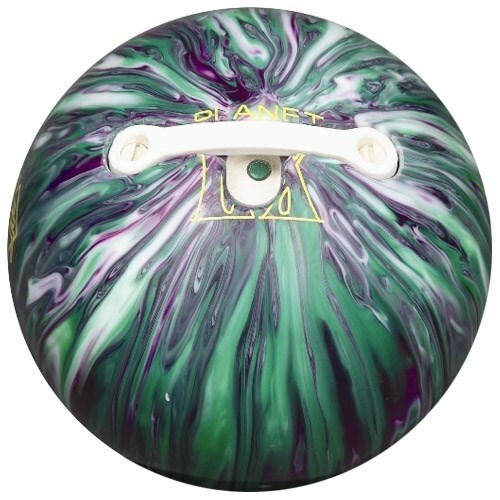 Due to the time it takes to produce the Retractable Handle Bowling Ball ball it will ship in immediately. We cannot ship this ball outside the United States.